In this form that mixes the two primordial lessons of crochet, the essential elements of circular work with the elongated straight lines, the oval is certainly one of the first essential lessons for apprentices of this handcrafted knitting technique. That's why anyone who is a beginner in crochet art can learn quickly and start doing different and personalized work with this form! In today's post, we will showcase various ideas of designs of oval crochet rugs, in different sizes, colors and thickness, inserted in rooms, rooms, kitchens and bathrooms of various decorative styles. In the end, we separated some video tutorials with beginner and advanced work, to start decorating your home with handmade products! Come on! Picture 1 - Oval crochet rug full of three-dimensional details. Picture 2 - Crocheted oval rug as body of this beautiful owl! Picture 3 - Simple oval crochet rug to bring more joy to entrances or corridors. Picture 8 - An oval inside the other forming this white and pink carpet. Image 9 - Contrasting pink and black on this flowery oval rug. Picture 10 - Large oval crochet rug in Russian style to bring more elegance to the environment. Picture 11 - Oval walkway with application of flowers in this crochet set for the kitchen. Picture 12 - Red, white and yellow bringing more color to the environment in this oval crochet rug. Picture 13 - Mix of shades of pink and different strings in this super charming design. Image 14 - Flowered oval crocheted rug with Russian barred as another inspiration for its environment. 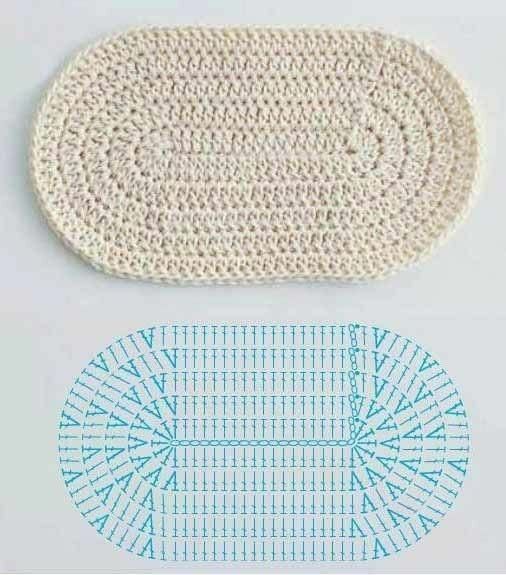 Picture 15 - Another idea of ​​simple oval crochet rug: this time, with a mixture of light shades of blue. Image 16 - Basic oval crochet rug with highlight for color mixing. Image 17 - Crochet rug with barred petals to apply on your pieces. Image 18 - Be inspired by the details and delicacy of the Russian crochet work, even in the smaller pieces. Image 19 - Work with a monochromatic gradation, as in this oval carpet. Picture 38 - Bicolor oval crochet rug: ideal for small areas such as the bathroom or door sill. Picture 39 - A final touch full of color: white carpet with mixed green barred. Image 40 - Another idea in pink with colorful flowers to apply in the decoration. Image 48 - Inspiration of Russian crochet in raw string: a super detailed piece that gains prominence in the decoration of any room. Image 57 - Color to draw attention to this Russian crochet rug. Image 58 - Enjoy the variation of colors and prints of knit yarns to make a rugged and beautiful oval crochet rug! Image 60 - Create a consistent color combination for your craft project: orange and blue work very well because they are complementary colors. Now, take a look at the tutorials we separate and learn how to make oval crochet rug, which will bring more coziness to the decor of your environments. It is important to say that all of these tutorials can be altered in both size and color, string thickness, and can gain applications in various ways. The idea is that you can use these tutorials to customize your work and produce a piece that has everything to do with your style and the environment where the piece is going to be inserted. Then, separate your crochet hook, the string of your choice and start practicing and decorating your home with pieces made by yourself! A perfect tutorial for anyone who is learning the art of crochet! In this video, you learn how to make an oval-shaped base that can be used in many different types of jobs - for example, in simple carpets, crochet baskets, or table runners. And remembering that you can still change it to better tailor the chart to the size of rug you want to decorate your home! The Russian crochet pieces are super ornate and full of details. Rugs are almost always our biggest objects of desire among the Russian-style pieces. Because they have so much detail, it requires a bit more crochet experience to be made, but it's not an impossible task! Here we separate a very well explained Russian oval carpet tutorial for you to make at home without any mistake, divided into three videos!